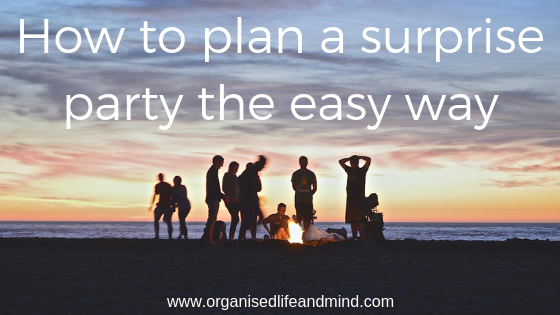 Is a surprise party the right party? Ask the guest of honour’s friends for a couple of days when they are available. The actual date, however, will depend on the guest of honour. Find out when they are available and make up a meeting with them. Obviously, this would be a fake appointment that merely serves as a time blocker. We’ve told Miss H to come for a dinner with another friend at our house. You can reserve a table at a restaurant where catering will be provided and you don’t have to do anything – except for bringing the guest of honour. If you want to do something more active, for example, going skiing in Ski Dubai, check if all guests can get in at the right time. We wanted to keep it simple and didn’t want to raise suspicion. We hosted our surprise party at home which made super easy. Just a bit of cleaning and preparation was done. Once you have the date, time and place, invite the guests. We kept it to just a few friends to give Miss H the opportunity to spend time with everyone. We had a comfy seat for everyone and truly enjoyed the cosy setting. And tell them to be quiet! Now this may be the hardest for some. It’s such a fun thing to throw a surprise party and so tough to keep this quiet. While children are generally not known to keep a secret, you better not risk it with them and certain adults. Create a separate What’s App group to keep everyone informed about the status. Make sure you don’t mix up your groups or have your messages visible for the guest of honour by chance! If you’re going to have a bigger party at your home, where will you store the extra food and drink? 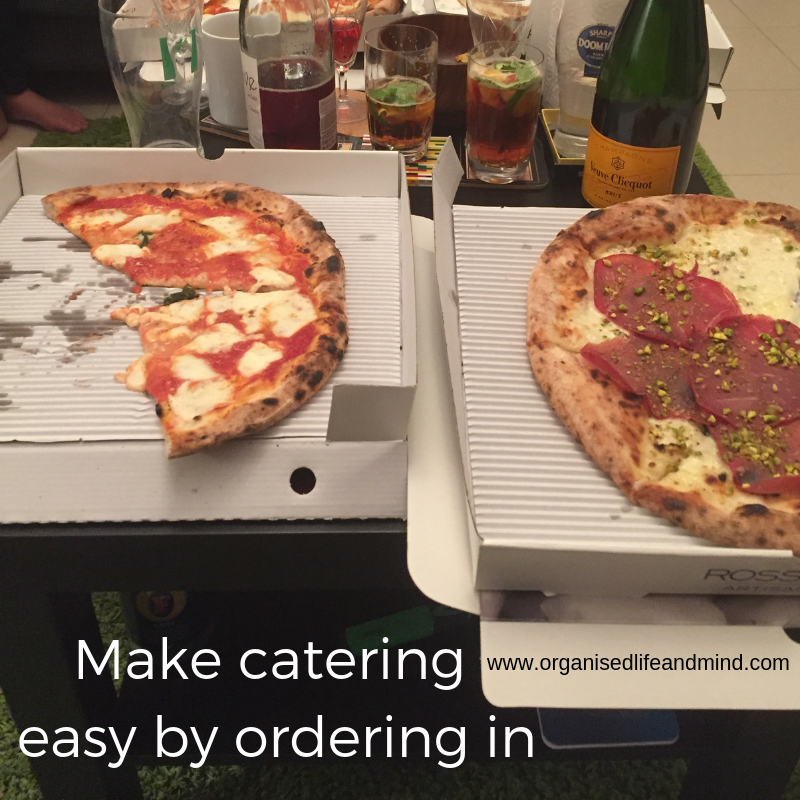 To make it easier for you, consider getting it catered just before the guest of honour arrives. Alternatively, order in. That’s what we did… after numerous What’s App messages were sent around, we decided to wait until everyone arrived and called Rosso Vivo for some delicious pizza. Getting balloons, confetti and what have you can be a pain to organise and can give away the surprise. Now, if you want to make it really easy for yourself, don’t have any decoration. We opted to keep the home as it is. Miss H would have smelt a rat and all the fun would have been lost. One of her friends brought an inflatable ram over. That was gas (sorry no pictures)! Get everyone to arrive on time – just this once! If y’all going to say “surprise!” at the same time, have everyone there at the same time. It’s a challenge, especially in a big city with plenty of traffic after work. You may need to send them reminders to leave work or home to get to the venue. In our case, we were all set but Miss H was behind her regular schedule. There was one message in our What’s App group asking “Maybe she left today? !” But boy, we were relieved when she did arrive. Some of our guests used a nearby hotel to wait until they got the go ahead to come over. Thank goodness for What’s App messages and knowing where everyone was! If you’re going to have the surprise party outside the guest of honour’s home, get them to where they needed to be. You may need to use false pretences like “let’s see a movie” or “I just need to drop something off” to get them out of the house. Being in your home makes it easier. You can ask the guest of honour to come home for a broken pipe, for example. How do you want to surprise your guest of honour? Everyone hiding in the dark at home screaming “surprise” when the guest of honour walks in? Coming from all sides when meeting in a restaurant or in another public place? Communicate with every guest on how to surprise the guest of honour and check they understood it. You may need to remind them to be quiet (again). We thought of our Miss H to open the door. Instead, we did that, saw the inflatable ram in the hall and tried to suppress laughter. You could hear her friend hiding around the corner laughing and by then, Miss H became suspicious. Her facial expression showed these signs of disbelief and “I’m not sure I like this…” until she was surrounded by her friends that evening! For us, the biggest challenge was agreeing on a date and keeping the communication quite. Seeing Miss H’s disbelieve – fabulous! Who did you surprise with a party lately? What was the hardest for you when planning it?